With 5 weeks in the books, contenders and pretenders are starting to emerge. Similar opinions have started to emerge in the fantasy realm as well. There are owners out there have had success with their team and will continue to have success, barring roster-changing injuries. There is not much we can do for those owners who are thriving, so we have tried to help out the owners who have yet to hit their stride this year. From our film analysis, here are some emerging trends we’d like to bring to your attention. Cedric Benson struggled last week against an under-the-radar Jaguars Defense. We saw on film that the Bengals OL did a good job of getting to the 2nd level, but struggled in one-on-one matchups up front. The Jags’ front 4 did a great job controlling the point of attack, enough that Cedric Benson struggled to find lanes to run through. He constantly had to run over fallen bodies or redirect his momentum to different running lanes. This week against the Colts we think Benson will be able to get back on track. The Colts DL gets blown off the ball fairly easy, which plays right into the strengths of the Bengals. Their OL is a physical bunch and should be able to provide Benson with enough lanes to generate a full head of steam towards a 100 yard day. A player on the Bengals who could benefit from a successful running attack is A.J. Green. While it might limit Green’s targets, his ability to get open down the field is quite impressive. The Colts know they struggle to stop the run up front, so they are going to have to bring an extra safety into the box to help stop Benson. Green has shown a great burst off the line and has been very smooth on his double moves down the field. He has emerged as Dalton’s favorite target and the Bengals will not hesitate to utilize play-action to help Dalton with his reads down the field. We are nervous about the Colts’ offense this week, particularly Curtis Painter. Last week he looked great going up against a pretty poor Kansas City defense. He showed a lot of touch on his passes down the field. However, he was able to make those throws because he had no pressure in his face and was able to step up in the pocket. This week he is going up against a Bengals front 7 that does a good job of disrupting passers. Their front 4 is very strong up front and they do enough rotation along their defensive front to constantly have fresh guys to get after the passer. Their LBs are not overly athletic, but they do pose threats over the middle with their ability to hit WRs across the middle. Painter has yet to face a Defense as good as the Bengals and we think the Colts Offense will struggle this week because of it. Heath Miller finally seemed to get back on track last week. Sure it helps when your QB throws for five touchdown passes, but we liked what we saw from Heath and the Steeler Offense. In the first four weeks, Heath was forced to stay in a lot to help protect Ben Roethlisberger. The Offensive Line did well last week against a potent Tennessee pass rush. This allowed Heath to get more involved with the pass game. The Jaguars typically rush only four defenders and play a lot of Cover 2 coverage. Ben Roethlisberger is going to be able to stay upright which will allow Heath to get involved in the passing game and get up the seam. There is not much to like on the Jaguars offense minus Maurice-Jones Drew. Marcedes Lewis has almost become fantasy irrelevant. Last year, David Garrard and Lewis developed a good connection around the redzone. Gabbert and Lewis simply have not developed the same chemistry with one another. Typically a young QB embraces a big target who can get open up the field. While we would advise Gabbert to utilize Lewis’ talent more, we would not suggest putting any stock into getting production from Marcedes this week. We think the Steelers D is going to dominate this weekend. Last week they were so banged up on Defense that we anticipated they would struggle. They got back to their physical way of football and controlled a Titans Offense that impressed us on film. We do not think Jones-Drew will have much success on the ground and when the Jags are forced to throw the ball, the Steelers secondary will be able to confuse Blaine Gabbert enough to generate turnovers. Arian Foster had a lot of success running the stretch play against the Steelers Defense. We have loved what we have seen from Foster and his running style, but we think that he gets shut down this week on the ground. Everyone knows the Ravens possess a very talented defense, but what will help them this week is their familiarity with the stretch run play. The Ravens run a lot of stretch plays and have offensive personnel very familiar with the ins and outs of that running style. You have to believe that this information is being passed along to the defense and they will be prepared to stop it this week. Foster is too talented not to start, and is too involved in the passing game to be a complete dud, but do not anticipate him earning his points on the ground. On the flip side we think that the Ravens rushing attack will have success this week. Given the Texans D also goes up against the stretch run in practice it would seem like they should be able to have the same success defensively as Baltimore. However, the Texans do not have the same personnel on the edges now that Mario Williams is out for the season. One way to slow down the stretch is to control the edge, something that Mario excelled at. The Ravens are big and physical and get bodies on the front seven enough to let Ray Rice slip through to gain positive yardage. Greg Little has been a popular player for teams to pick up this week. He has earned a starting job which should help with the number of targets he receives and therefore his potential for success. However, this week we do not anticipate he is going to excel. The Raiders pride themselves in being physical on the outside. On the other hand, the Browns passing attack strives at short passes and timing routes. One side is going to have to give and we give the nod to the defense. The Raiders CBs are going to be right up in Little’s face the entire game and it’s definitely going to throw off McCoy’s timing. He has yet to show an ability to stand in the pocket long enough to get the ball down the field, so do not expect too much out of Little. 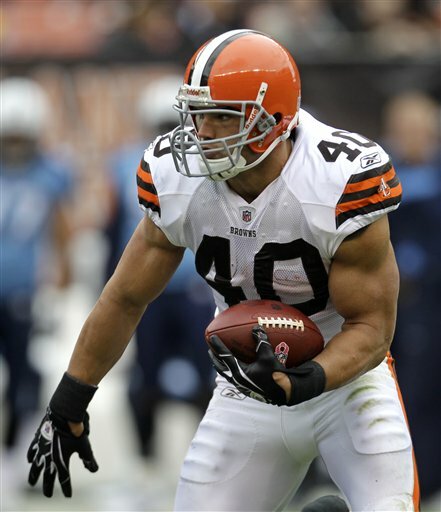 We feel Peyton Hillis is going to have an overall solid game this week. The first reason is going to be the pressure the WRs will be facing on the outside. If Colt gets uncomfortable in the pocket because his WRs are not where they’re supposed to be at a given time, Colt is quick to dump the ball down which should mean Hillis will have a lot of passes his way. On the running side of things, Hillis has had a week to get his health back and work his way back into the offense. Oakland did a good job shutting down the Texans stretch run game, but we think they will struggle a bit with Hillis’ North and South running style. Expect Hillis to have a good game this week. Expect Darrius Heyward-Bey to come back down to Earth a bit this week. He has really impressed us the past few weeks with how he has progressed since the beginning of preseason. He has really improved his route running which has in turn helped him utilize his speed even more on curl routes and comebacks. However, the Browns possess a secondary that has caused WRs some issues. Heyward-Bey has yet to show that he can produce against a physical CB and we think that a guy like Joe Haden will get the best of him this week. 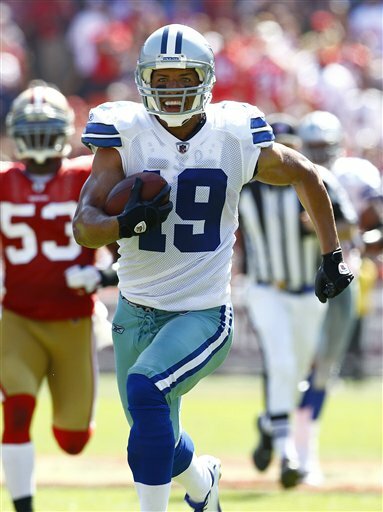 Miles Austin could not have asked for a better week to come back from his injury. The Patriots secondary has been torched all season and it should be again this week. With Dez Bryant and Miles posing as such talented threats on the outside the Patriots are not going to be able to take out one specific player. This game is most likely going to be fairly high scoring, so Romo is going to feed his playmakers the ball often. We like what we saw from Miles the first two weeks of the season and expect that to continue this week. While we would not recommend starting the Dallas D this week, we do feel like they should be able to limit a newly discovered Patriot rushing attack. BenJarvus Green-Ellis broke out last week. The Patriots showed a commitment to the run and their OL stepped up to the challenge. They looked extremely agile and were able to get to the Jets LBs often. Green-Ellis had a lot of holes to run through and did a good job brushing off arm tackles. The Cowboys are more talented up front and should be able to control the running game. They have size on the outside to control the edge and their DL has a good combination of guys that penetrate the line of scrimmage and guys that are strong enough to control double teams and prevent Guards and Tackles from getting to the 2nd level. If New England wants to attack this defense it is going to have to be through the air. Tom Brady is sort of a fantasy after thought in terms of worrying about his production from week to week. He has proven to be able to consistently put up above average points every week. The only time he struggled last year was against the Browns and Rob Ryan’s Defense. The Browns did a lot of different schematic things that made it difficult for Brady to determine what coverage was being run and what rushers to account for. You have to know that Tom has spent enough time this week analyzing that film so he will have a better grasp on what to expect. Brady will continue to put up good numbers this week. On film the Jets passing attack has really disappointed us all year. Going into the season, this team possessed a group of weapons that rivaled that of almost any team in the league. The guys are frustrated and they have a right to be. At this point in time Mark Sanchez does not look comfortable in the pocket. Ever since he took a beating against Baltimore he has really struggled to throw the ball effectively. He had a great opportunity last week against a poor New England secondary to bounce back, and did not put up impressive numbers. The Jets have clearly reshifted their focus to a ground and pound attack, which has simplified Sanchez’s role in the offense. He has a lot of shorter drops, easier reads and rarely throws the ball down the field. If you are playing any Jets WR, know that you are doing so with a big risk. We anticipate that Brandon Marshall will be shadowed the entire game by Darrelle Revis, which means big numbers from him are going to be hard to get. In the matchup between both teams last year both guys were banged up and never got to face off. Marshall’s physicality makes him a difficult matchup for any corner, even Revis. Marshall is going to get open, we just worry that he is not going to get the ball thrown his way. With Matt Moore at QB the Dolphins are going to try to make things as easy as possible for him. Do not expect too much out of Marshall this week. Check back to TCIPF for Part 2 of our Week 6 breakdown. 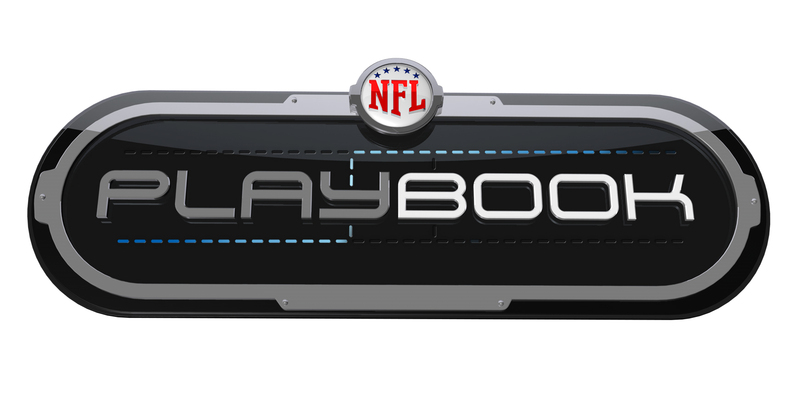 Send your questions and comments to the Playbook War Room Team at playbook@nfl.com and on Twitter @NFLN_Playbook. For more All-22 analysis watch NFL Playbook: Thursdays & Fridays at 8pm ET only on NFL Network.